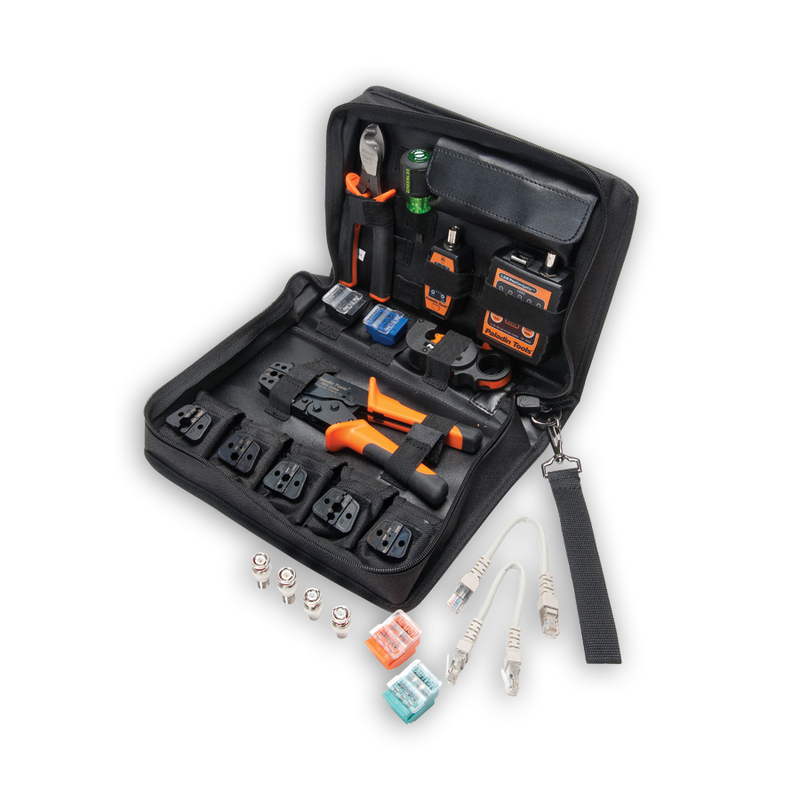 Paladin’s biggest data, voice, and coaxial LAN installation kit provides everything for twisted pair and coaxial cable installation. 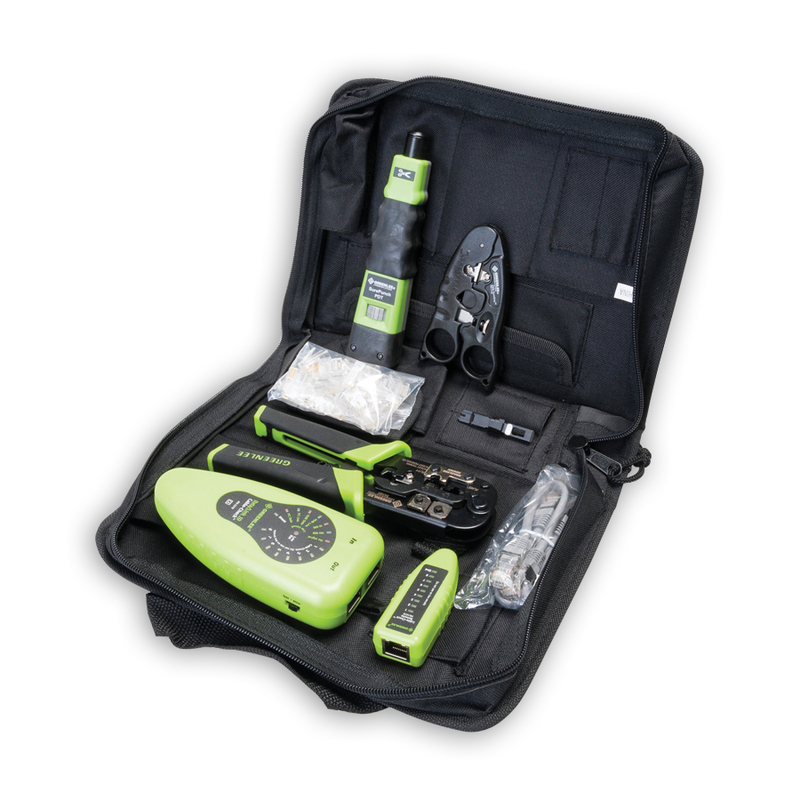 All tools contained in a professional blow-mold case complete with form-fitting foam. 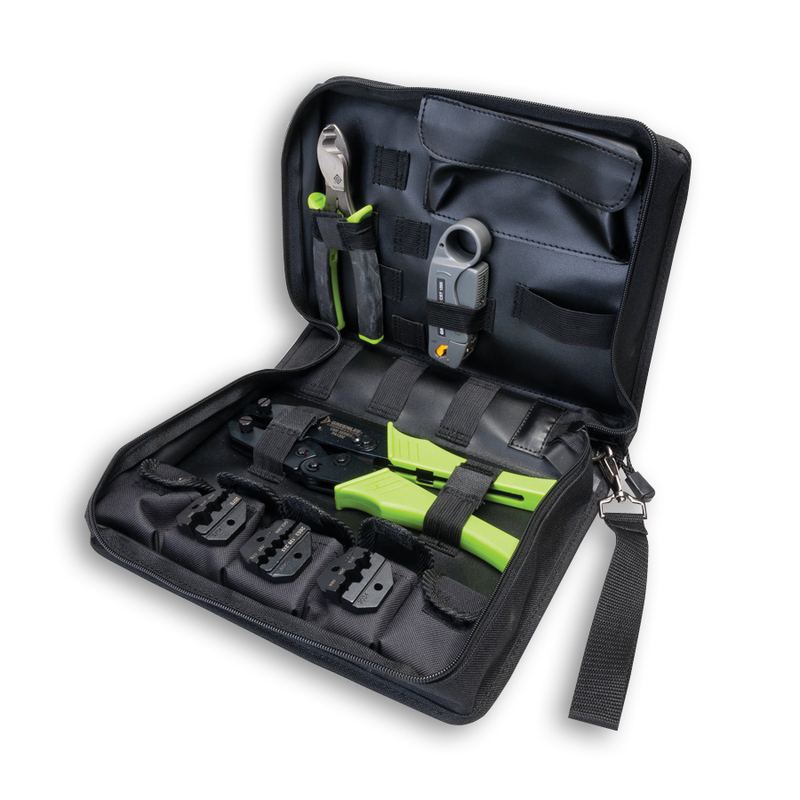 The complete Category 5 datacom tool set in a handy zipper case! Everything needed for a CAT-5 installation except the cable. 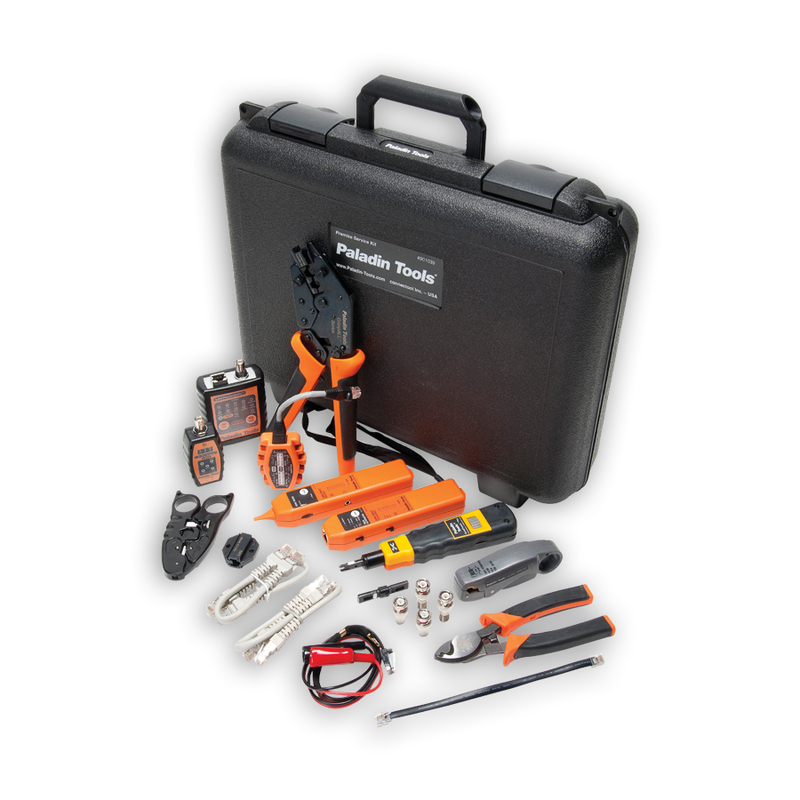 The Broadcast Ready Kit includes professional tools for cutting, stripping, crimping and testing coaxial cable connections for HDTV, video and RF. Protected by a padded, zipper case. - CST Pro BL - CATV "F"
Also includes a screwdriver to change out die sets. Perfect for LAN/Ethernet or video & CATV installation. 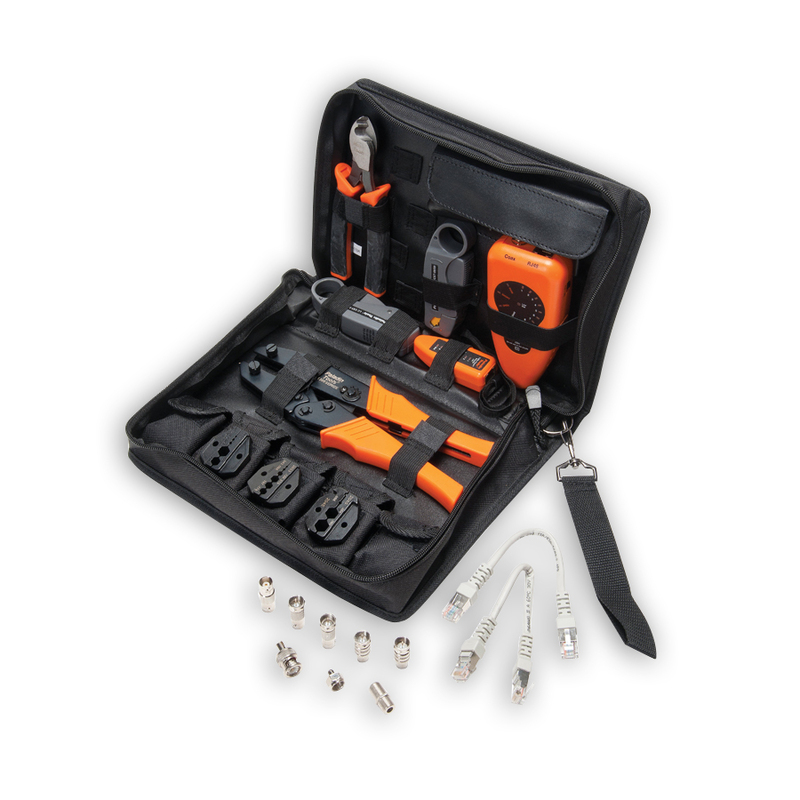 For a wide variety of coaxial connectors including mini-coax and HDTV applications, CoaxReady™ Deluxe combines our most popular tools for a complete coax solution in a handy zipper case. 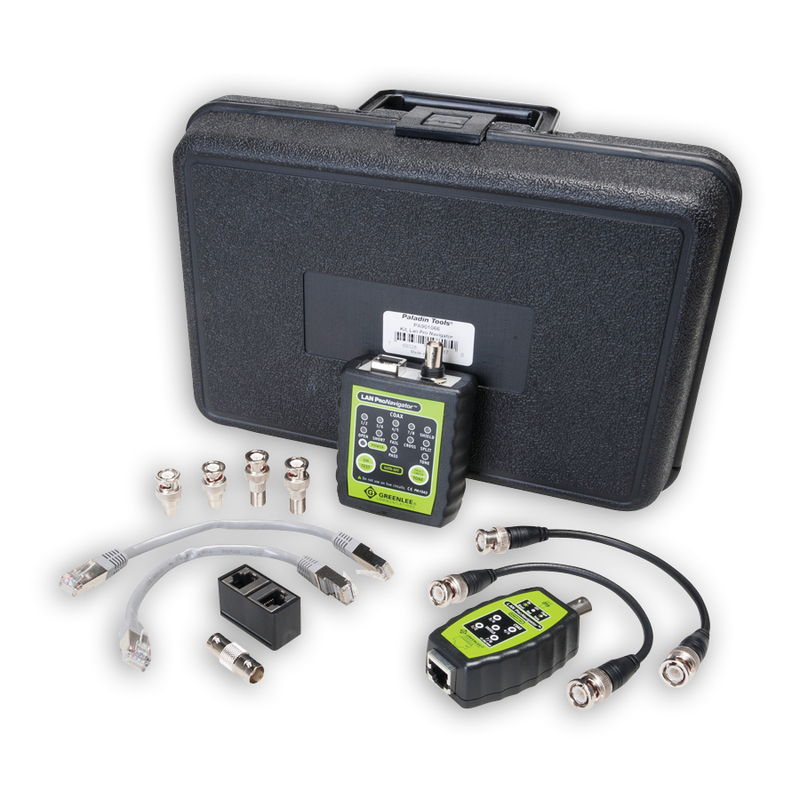 - BNC/TNC & CATV "F"
This kit is also a starter kit for datacomm professional but excludes the PowerPlay PT-510 to make it even more budget friendly. 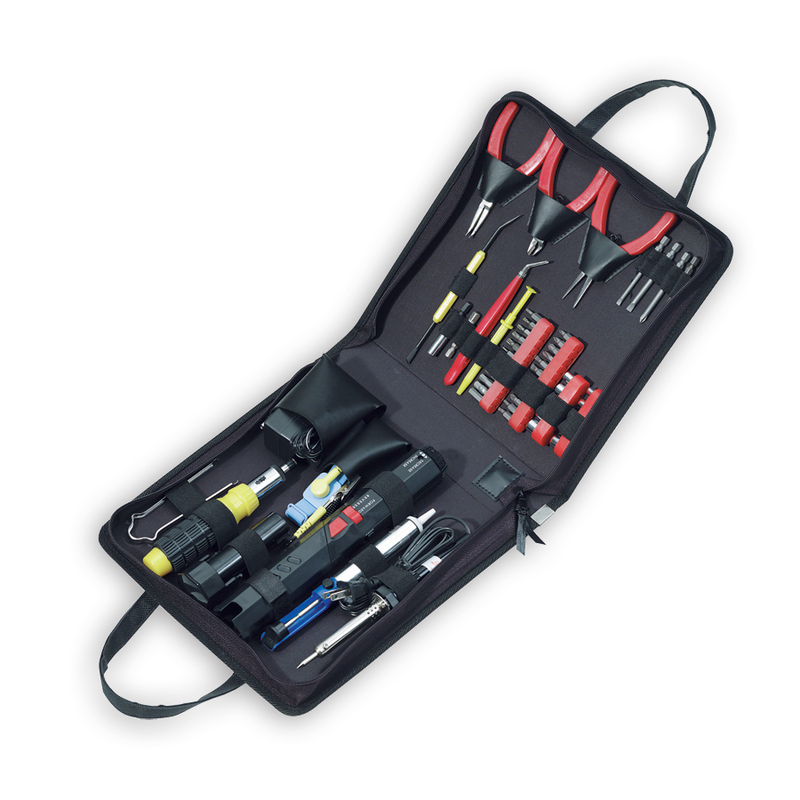 I would highly recommend this tool kit for anyone running network cables. I ordered these specifically because they were the Paladin Tools. 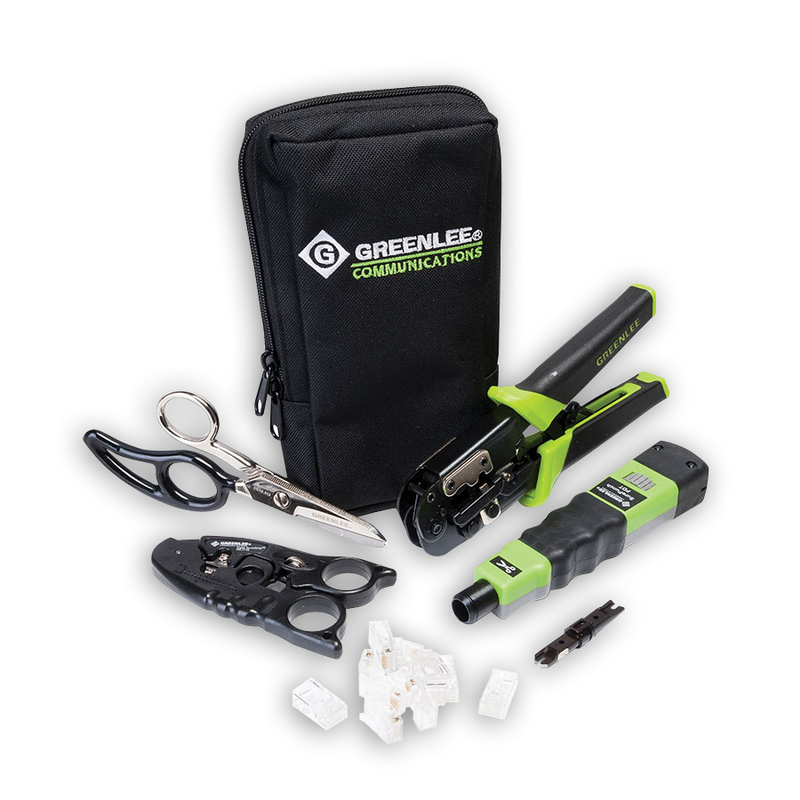 When I get the shipment and open it up, they are the Greenlee brand. Just disappointed that they were what was advertised. But they appear to be neat the quality of the Paladin's I had.